The stunning flowers on this new hybrid are immense. 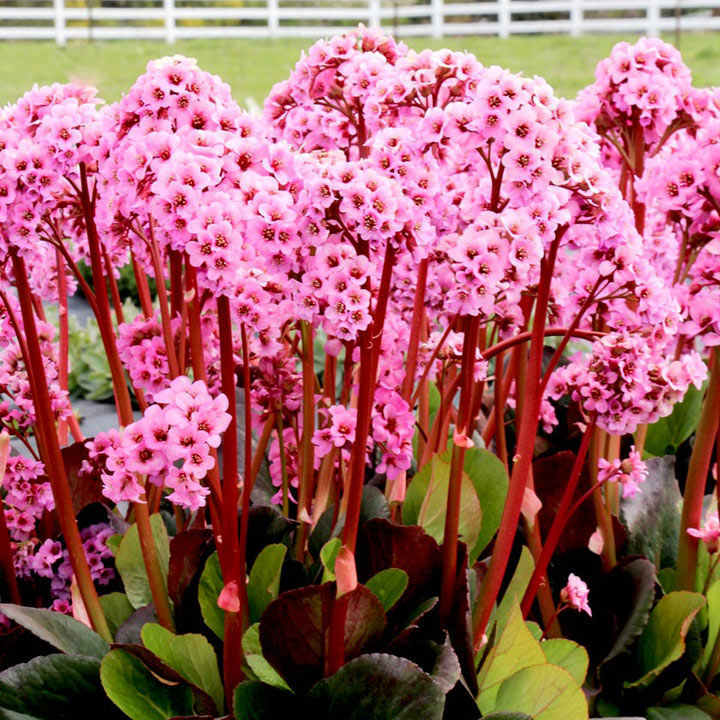 They are produced in such great numbers that Spring Fling really does produce a mass of bright pink flowers, breathing life into your spring garden. 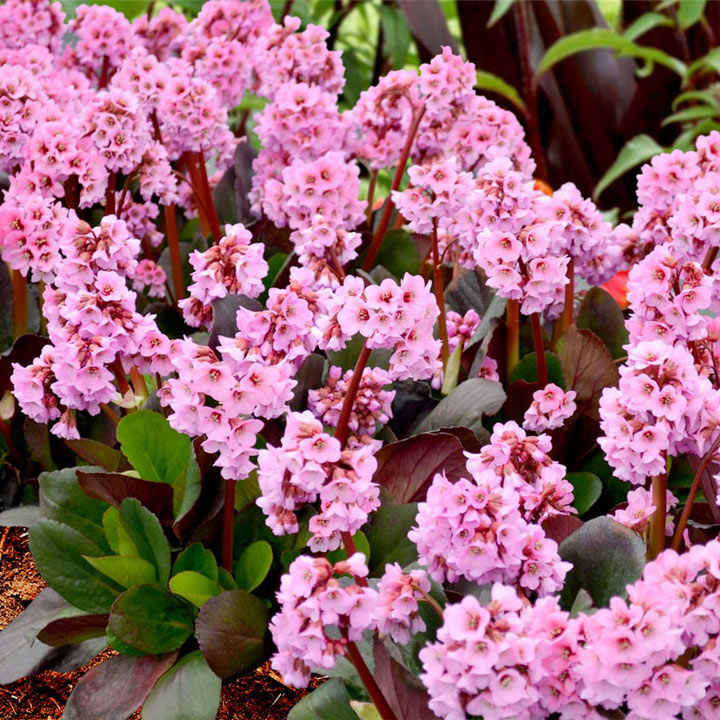 The foliage on this Bergenia is interesting too, as it’s evergreen - producing interest all through the winter and not leaving a gap like most other perennials. Better still, it also turns from bright green in the summer to shades of deep purple during autumn when the temperature falls. 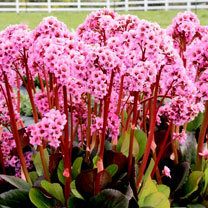 Your plants will keep this colour until late spring, creating a striking contrast for the flowers. 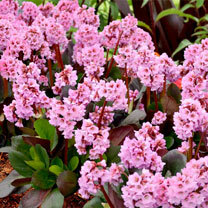 This aubrieta is also great for ground cover and suppressing weeds. Flowers March-April. Height 20-30cm (8-12"); spread 20-30cm (8-12"). Supplied in 9cm pots.